Grace Jane (Skrovanek) Vrablec, age 83, of Allentown passed away on Tuesday, November 6, 2018. She was born in Allentown on May 16, 1935 to the late Anthony S. Skrovanek and Catherine M. (Brogan). She married Nicholas P. Vrablec of Allentown on June 20, 1959. She was preceded in death by her beloved husband Nicholas and her siblings Francis, Anthony and Joseph. Grace is survived by her loving children, Mark (Janice) of Davenport, Iowa and Mary (Alphonse) Rivera of Whitehall, Pennsylvania. Also survived by grandchildren Laura and Adam Vrablec of Chicago, Illinois; Mishele and Alphonse Rivera; Aleyah and Maria Grace Rivera of Whitehall, Pennsylvania. Sisters Joan Ziegler and Kathleen Mory of Bethlehem; Patricia Suhr of Schenectady, New York; Terry Lysek of Allentown; brothers Eugene Skrovanek of Brooklyn, New York and Jerome Skrovanek of Olympia, Washington and sister-in-law Mary Ann Reese of Fountain Hill. Grace enjoyed spending time with her family and friends as her home was always the gathering spot. All who loved her knew they would receive a warm welcome and fresh baked goodies upon arrival. She enjoyed playing bingo and trips to the casino and especially loved keeping up with the activities and adventures of her beloved grandchildren. She has inspired us with her spirit, love of family, and witty sense of humor. She will be greatly missed. A viewing for family and friends will be held 4:30 – 6:00pm on Friday November 9th at Kohut Funeral Home, Inc., 950 N. Front St., Allentown, PA 18102. A calling time will be held 10:30-11AM with Mass of Christian Burial at 11AM on Saturday November 10th with burial and luncheon to follow at St. John the Baptist Slovak Church, 924 N. Front St., Allentown, PA 18102. Grace’s family would like to thank the staff at Phoebe Home for their care and compassion. Frank Vyhonsky, 63, of Whitehall, passed away November 17, 2016. He was the loving husband of over 40 years to Jane (Kobulska) Vyhonsky. Born in Presov, Slovakia, he was the son of the late Frank and Margita (Sechna) Vyhonsky. 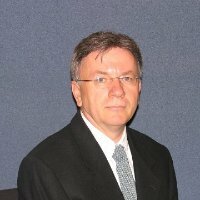 Frank retired as a mechanical engineer from Bosch- RexRoth. He was very active and enjoyed playing tennis, riding bicycle, golfing and traveling. Frank also enjoyed watching soccer games. Wife- Jane Vyhonsky; Children- Linda Simmers and husband Darren of Allentown, Thomas Vyhonsky and wife Kylene of Minnesota; Grandchildren- Landon, Lucas and Andrew; Brother- Jozef Vyhonsky and wife Monika of Slovakia; Sister- Darina Krajnakova and husband Miro of Slovakia. A viewing will be held Monday 9-11AM with a service at 11AM in Kohut Funeral Home, Inc. 950 N. Front St. Allentown, PA 18102. In lieu of flowers, contributions can be made in Frank’s memory toward a Memorial to be established on the Ironton Rail Trail, as Frank spent a lot of time there. The contributions can be made to Jane care of the funeral home. Anthony P. Valek, Sr., 89, of Allentown, passed away June 22, 2016. He was the loving husband of the late Lorraine G. (Gross) Valek. Born in Allentown, he was the son of the late Joseph M. and Kristina J. (Gastan) Valek. He served in the U.S. Army during WWII. Anthony was a member of St. John the Baptist Slovak Catholic Church. Anthony retired from Allison Manufacturing after many years of service. Survivors: Sons- Anthony Valek Jr. and fiancé Debbi Stettler of Allentown, Robert Valek and wife Rovena of Maryland, Joseph Valek and wife Jamie of Upper Macungie Twp; Daughter- Lorraine Moyer and companion Joseph Madura of Allentown; 7 Grandchildren; 1 Great Granddaughter. He was predeceased by his son- James Valek. A viewing will be held Monday 9:30-10:30AM in Kohut Funeral Home, Inc. 950 N. Front St. Allentown, PA 18102. Mass of Christian Burial to be celebrated at 11AM in St. John the Baptist Slovak Catholic Church 924 N. Front St. Allentown, PA 18102. Burial to follow in the parish cemetery. In lieu of flowers, contributions can be made in Anthony’s memory to the church care of the funeral home. Nicholas P. Vrablec of Whitehall died August 28, 2015. He was the husband of Grace J. Vrablec. Born in Allentown, he was the son of the late Emerich Vrablec and Mary (Kralik). He honorably served his country as a member of the United States Marine Corps during the Korean War. Nick was a Fireman for the City of Allentown for 28 years and he retired in 1994. He was a member of St. John Slovak Baptist Church. Survivors: in addition to his wife Grace, son Mark of Davenport, Iowa and wife Janice, daughter Mary and husband Alphonse Rivera of Whitehall, 4 grandchildren Laura and Adam Vrablec, and Aleyah and Maria Grace Rivera. Sisters Valeria Bernardo of Jacksonville, Florida and Mary Ann Reese of Fountain Hill. He was predeceased by 4 sisters and 1 brother. Services: A viewing for family and friends 5:30-7pm on Tuesday, Sept. 1st at Kohut Funeral Home Inc. 950 N Front St. Allentown 18102. Calling time Wednesday, Sept. 2nd 10:30-11AM in St. John the Baptist Catholic Church 924 N. Front St. Allentown 18102 with Mass of Christian Burial at 11AM. Contributions: American Diabetes Association http://donations.diabetes.org or to the church. John Joseph Valent, 75, of Slatington, passed away Wednesday, April 2, 2014. 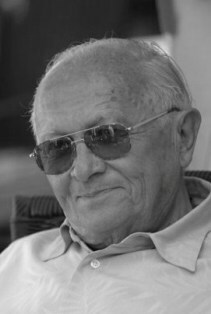 He was the loving husband of 51 years to Jean (Szep) Valent. Born in Allentown, he was the son of the late John and Anna (Sutjak) Valent. John served in the U.S. Air Force. He retired from Mack Trucks after 29 years of service. John was a life member of St. John the Baptist Slovak Catholic Church. He was also a member of the Copeechan Fish & Game Club in Schnecksville. John loved NASCAR and to fish and hunt. A viewing will be held on Tuesday 10-Noon with a service at Noon all in Kohut Funeral Home, Inc. 950 N. Front St. Allentown, PA 18102. Burial will be private. In lieu of flowers, donations can be made in John’s memory to Dream Come True PO Box 21167 Lehigh Valley, PA 18002 or to the American Heart Assoc. 968 Postal Road, Suite 110 Allentown, PA 18109. Isabelle M. (Cunningham) Vitalos, 86, of Whitehall, passed away February 5, 2014. She was the wife of the late Aloysius J. Vitalos. Born in Allentown, she was a daughter of the late Geo and Stella (Slavick) Cunningham. Isabelle retired in 1992 as a receptionist for Oakwood Medical Center after 25 years. She was a member of Immaculate Conception Catholic Church. She was a devoted wife and mother and took great joy in her grandchildren and great grandchildren. 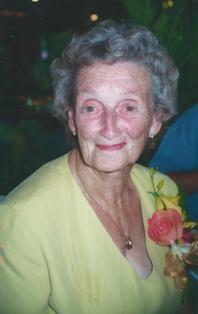 She was an antiques enthusiast and an avid gardener. Isabelle took great pleasure in the company of her friends and neighbors. She was predeceased by her grandson- Ian, sister- Constance Pozza and brother – George Cunningham. A viewing will be held on Monday 10-11AM followed by a Mass of Christian Burial at 11AM in Immaculate Conception Catholic Church 501 Ridge Ave Allentown, PA 18102. Burial to follow in Laurel Cemetery, Whitehall. Arrangements care of Kohut Funeral Home, Inc. Donations can be made in Isabelle’s name to Arcadia Hospice, LLC. 7248 Tilghman St. Allentown, PA 18106 or to The Arc of Lehigh and Northampton Counties, Inc. 2289 Avenue A. Bethlehem, PA 18017. Mary A. Valente, 99, of Mosser Nursing Home in Trexlertown formerly of Gross Towers Apartments in Allentown, passed away Saturday, April 13, 2013. Born in Allentown, she was the daughter of the late Giuseppe and Micheline (Elardi) Valente. Mary worked at Hess Brothers and H Leh Dept. stores for many years before her retirement. Mary was unmarried and enjoyed the fact that her birthday was on St. Patrick’s Day. She enjoyed sewing and going on Bus Trips. She was a member of St. Johns Lutheran Church in Allentown. She was predeceased by sister- Carmella Shupp, brother- Anthony Valente and infant bother- Salvatore Valente. A graveside service will be held on Friday at 10AM in Our Lady of Mt. Carmel Cemetery, Whitehall. 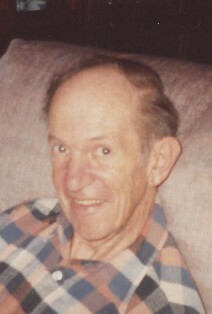 Arrangements c/o Kohut Funeral Home, Inc.
John Paul Vorholy, 86, of Bethlehem, passed away Saturday, August 18, 2012. Born in Allentown, he was the son of the late Mary (Malik) and Michael Vorholy. John was a graduate of Allentown High School. He retired in 1996 from Durkee Foods in Bethlehem which is where he worked for over 30 years. He also was co-owner of the Clearfield Hotel in Bushkill Township from 1972 to 1981. After retiring, he delivered the Wall Street Journal to the Lehigh Valley as a part time job. In his free time, John enjoyed golfing, following Notre Dame athletics, and listening to music, most notably, Frank Sinatra. He had an avid love of photography and videography. He also devoted so much of his time traveling and attending his daughters' sporting events when they were in high school and college. He is survived by his daughter, Juliana and close friend Maryanne; step-daughters, Cyndi Brauzer, Beth Ann Porter, Robin Stettler and Karen Schoeneberger; sister Marie Russoli and many nieces and nephews. He was predeceased by his daughter- Johnene Vorholy-Argus and brothers- Michael and Joseph Vorholy. Calling time will be held Friday 9-10AM in Kohut Funeral Home, Inc. 950 N. Front St. Allentown 18102. Mass of Christian Burial will be celebrated at 10:30AM in St. John the Baptist Slovak Catholic Church 924 N. Front St. Allentown 18102. Burial to follow in the parish cemetery. John would like that the next time you have a drink to make a toast in his memory and believe the best is yet to come.